The Zelda series has a rich cast of likable side characters that assist Link during his journey. While Malon is a side character I always liked, she’s one of the few where my impression of her has changed over time, and it wasn’t until much later that I began to appreciate everything she represented. Malon’s first appearance is in Ocarina of Time. She has a semi-important role in Link’s journey, teaching him Epona’s Song that would later allow him to call her to his location and travel across Hyrule more quickly. With the situation at Lon Lon Ranch being among one of the first Link encounters following his seven year slumber, I went out of my way to complete it right away. She was a character that I was invested in helping because she had a kind-hearted and spirited personality. 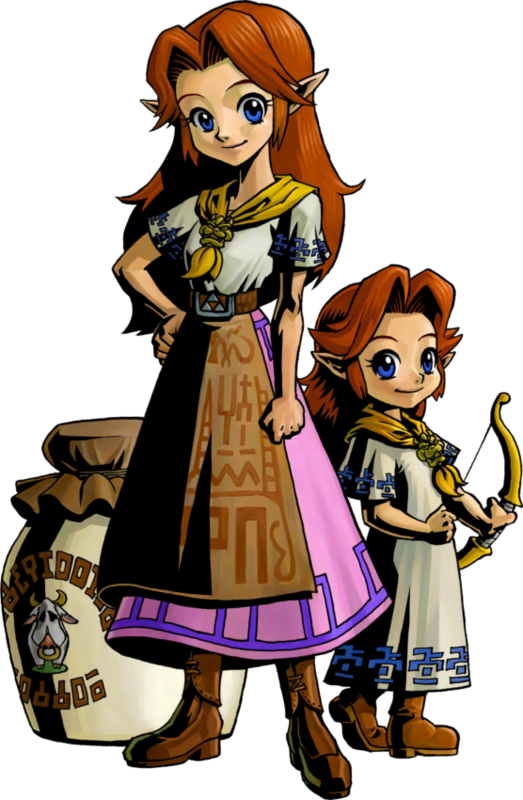 Malon fulfills a gameplay and story role, but outside of that, she is simply a sweet and cute character who has the distinction of being kind and friendly to Link after he left the familiarity of the Kokiri Forest, and there was very little I knew about her. The game loosely implies her mother was a Gerudo woman, making her of Gerudo descent, but what does that mean for her? Is her family forever cast out by the Gerudo? Does it make her isolated? None of these character questions are explored. Outside of her obvious character traits — loving horses and singing her family’s song — who was she? 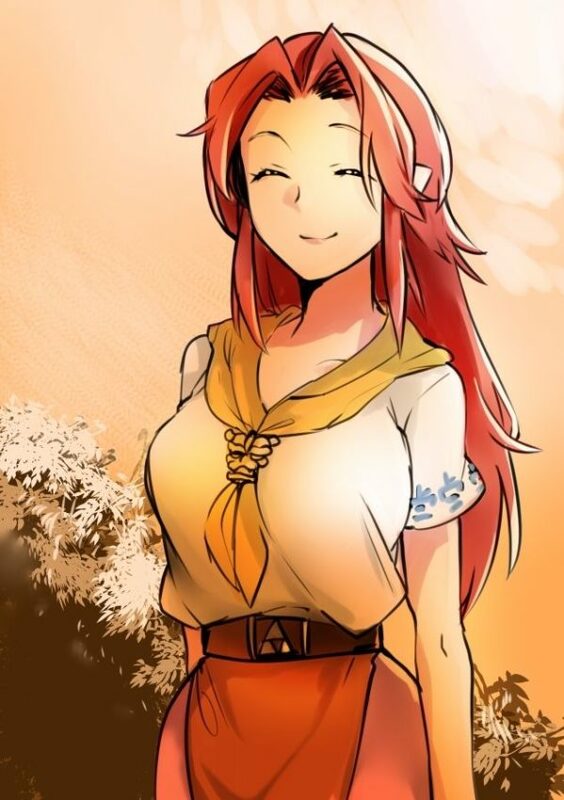 Malon’s subsequent appearances in Oracle of Seasons, Four Swords Adventures, and The Minish Cap don’t dive any further into her history or backstory, so I never gave her character much thought until I finally played through Majora’s Mask years later, when her younger and older self appears as Romani and Cremia in the parallel world of Termina. Everyone’s lives are dramatically changed when the Skull Kid steals Majora’s Mask and brings the moon closer to crashing down on Termina, and Romani and Cremia are no exception. Residing on Romani Ranch, Romani is hyperactive, carefree, and has the quirky habit of referring to herself in the third person. But beneath her cheery personality, she is dedicated to protecting the cows from Ghosts that have invaded the ranch in the past by practicing archery daily. Cremia, as her older sister, is mature and is largely responsible for the ranch’s success, delivering milk to the Milk Bar in Clock Town regularly. Little is known about their family life prior to the game, but it is made clear that their father died some years ago, not only leaving Cremia in charge of the ranch but also making her the sole caretaker of her little sister. Their contrasting personalities allow them to bounce off of each other, and I enjoyed a lot of their character interactions as a result. Unfortunately, the sisters can’t just have amusing conversations and interactions all the time. With Romani Ranch blocked off by their rivals, the Gorman Brothers, and Romani’s insistence that an attack from the Ghosts is imminent, the situation for the sisters is grim. But despite all of the problems they face, the two overcome it by taking matters into their own hands, with Romani resolving to fight back against the Ghosts while Cremia chooses to still deliver their goods to Clock Town. For me, a large part of why Romani and Cremia’s characters are able to stand apart from their Ocarina of Time counterpart is because of the ingenious structure of the narrative in Majora’s Mask. The game isn’t afraid to punish the players for not helping certain characters over the course of the three days. If Link doesn’t help Romani fight back against the Ghosts, Romani is abducted and, for the rest of that three-day cycle, she is disoriented and has lost her purpose in life, while Cremia is distraught. Similarly, if Link doesn’t help Cremia transport the milk, they lose all of their resources with the implication that the ranch, and their way of life, will fail as a result. With Romani losing her quirky personality traits and Cremia being emotionally devastated by her failures, it humanizes them by giving them distinctive goals to strive for no matter how difficult the situation may be. This was also reinforced to me when assisting Cremia in her character arc: riding in the back of the wagon, Cremia describes how she welcomes the company in light of how poorly things have been going for the ranch. Within moments, she warns Link to be prepared for the bandits approaching, and it showed just how serious and dedicated Cremia was. She wasn’t scared, and rather than giving up in the face of adversity, she remained level-headed and worked hard to make sure that she saw her duty through to the end. Through introducing the characters and presenting them with challenging situations, it allows them to grow while adding depth to their personality. After helping Cremia safely deliver the milk to Clock Town, she gives Link a hug as thanks, and it was in this moment that I realized that their stories weren’t meant to just characterize and humanize them, but to deliberately remind the player — and Link — of who they represent. It’s a simple scene, but Cremia’s gratefulness to who is essentially a stranger reinforced that Cremia and Romani are simply different sides of the same character. 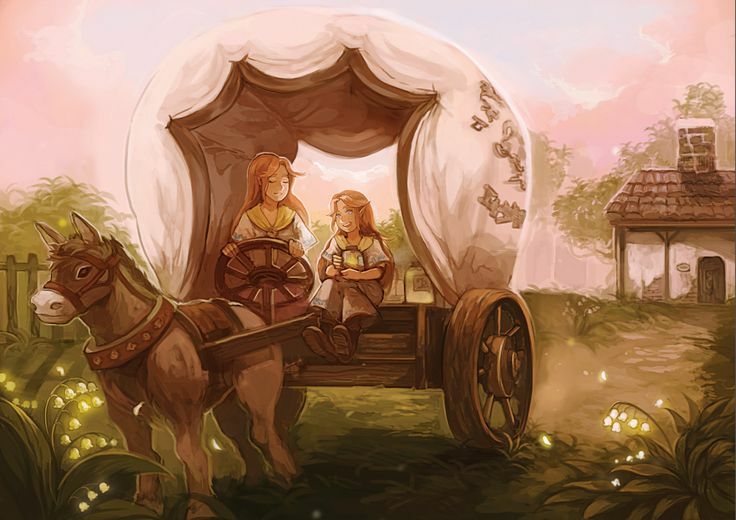 I realized that, in a lot of ways, Malon embodies these same, strong qualities that I saw in her Terminian counterparts – she’s steadfast and dedicated to the ranch, often taking responsibility when her father is too lazy to do it himself. She’s lonely, longing for the mother she no longer has and sings her song in memory of her. After Link forces Ingo off the ranch following the seven year time jump, she takes responsibility again, running the ranch while welcoming her father back home. Most importantly, Malon welcomed Link with open arms when he was cast out into a world that he was unfamiliar with. 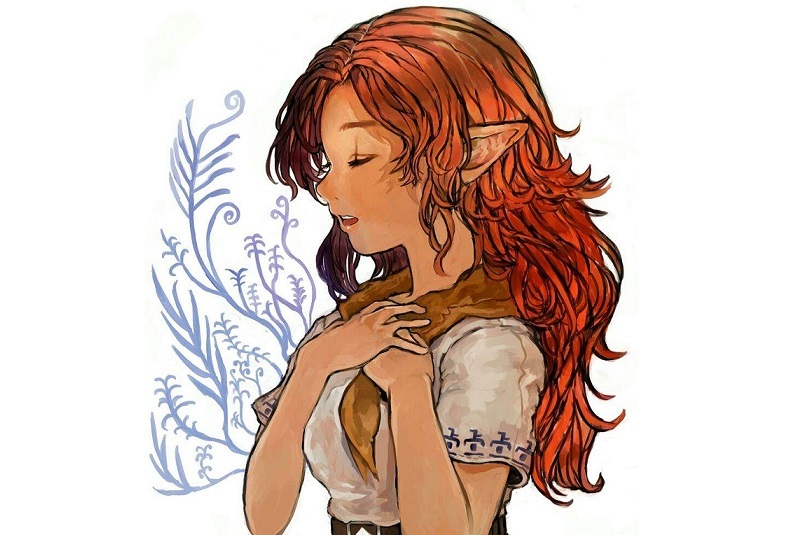 Malon loved her life and people despite all of the hardship she faced, and used her kindness to help others no matter what. Romani and Cremia’s heartbreaking stories can’t exist without Malon, and similarly, the newfound appreciation I have for Malon is all thanks to the time Majora’s Mask devoted to develop Romani and Cremia’s stories, fleshing them out through developing a story that’s more than just two ranch girls making the best of their situation. They are strong, passionate, and kind to others, and they epitomize everything that was so likable about Malon in her debut game. Malon may not have had a deep, complex character arc in Ocarina of Time, but Majora’s Mask utilized her younger and older counterparts to construct a more nuanced interpretation of the character that inspired them in the first place. Nowadays, I can appreciate everything Malon is, and isn’t, because of how Romani and Cremia changed my perception of her. Michaela El-Ters is a Senior Editor at Zelda Dungeon. For more of her writing exploring high-quality character development and writing in the Zelda series, check out her blog. If you know the artists for the remaining pieces, please let us know!